Despite the barrage of reports, there is no new strain of HIV in the Philippines. Respected world agencies are downplaying initial reports of a new strain of HIV found in the Philippines. The Joint United Nations Programme on HIV/AIDS (UNAIDS) and the World Health Organization (WHO) have both released statements that soundly reject recent initial media reports that warned their readers of a new, untreatable strain of HIV that has been identified in certain areas. 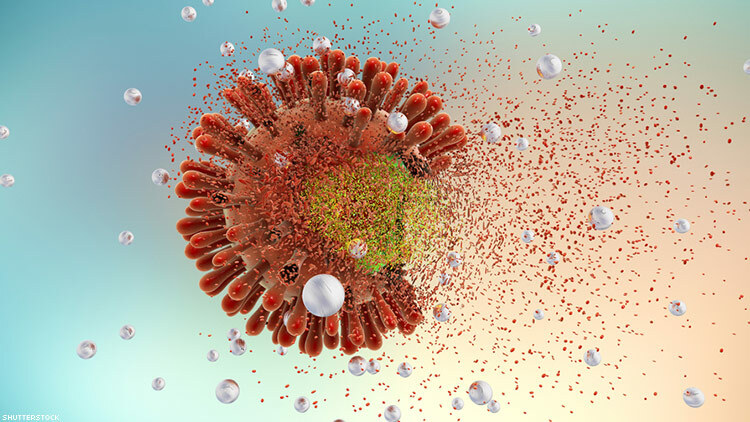 Reports indicate that HIV-1 subtype AE was found in the Philippines, a strain that could be more aggressive and may not respond to basic and readily-available HIV drug regimens. A total of 871 new HIV cases were recorded in the Philippines during February alone, according to the February 2018 HIV/AIDS Registry of the Philippines from the Department of Health’s Epidemiology Bureau. That brings the total to 1,892 new HIV cases in the Philippines since January 1. Some cases involve people in advanced stages of the virus. But media reports called it a “new strain,” described it poorly, and were misleading enough to prompt both agencies to speak out and clarify the situation in the Philippines. The media reports also suggested that the strain of HIV doesn’t respond to drug regimens. Then on March 23, both WHO and UNAIDS released another joint report that clarified that “All HIV-1 subtypes can be expected to respond to currently recommended ART regimens”. The Philippines is now dealing with a new subtype of the virus that is not yet accustomed to, but doesn’t necessarily mean that the virus is resistant to drugs. In the Western world, including Americas, Western Europe and Australasia, HIV-1 subtype B dominates. While HIV-1 subtype AE may be new to the area, it’s not anything world scientists haven’t seen before. But that isn’t how it was portrayed in the media. "New virus strain behind HIV explosion in the Philippines", a revised article by Deutsche Welle originally read. Deutsche Welle was forced to tone down the article. A March 10 article from The Independent was also forced to revise its article, in order to update the story with clarifications. Drug resistance in HIV therapy is a challenge, but it’s nothing new. Few topics can fuel a viral post more than an outbreak of a new, drug-resistant strain of a pathogen. For instance, recent news of a “nightmare bacteria” recently dominated headlines on Fox News, CBS News, NBC News, and ABC News all covered the Centers for Disease Control and Prevention’s (CDC) warning of a strain of bacteria that is resistant to nearly all known antibiotic treatments. But the overuse of antibiotics is not necessarily anything new, either. And that’s why we, as people living with HIV, social media users, citizens, and journalists shouldn’t jump to conclusions. The Philippines is facing new challenges in the way it tackles the spread of HIV, but it’s nothing the community hasn’t faced before.